Once a year, or so, I go on a big trip. By big I mean international or at least cross-country. This year my trip is to England to see my best friend and her family. I tend to need a lot of preparation for international trips, which means I do not have a lot of time for baking and cooking complicated meals. That does not mean I want to eat fast-food or junk. What I do is think of fast meals that I can have ready in minutes with ingredients I have in the freezer, or that I can purchase ready prepared. Now, if you know me then you know I love all things pig, particularly if it is pork ribs or shoulder that have been smoked. Furthermore, it should come as no surprise that I keep a little stash of frozen smoked pork in case of emergency. (And, yes, there are emergencies where smoked pork is the solution.) 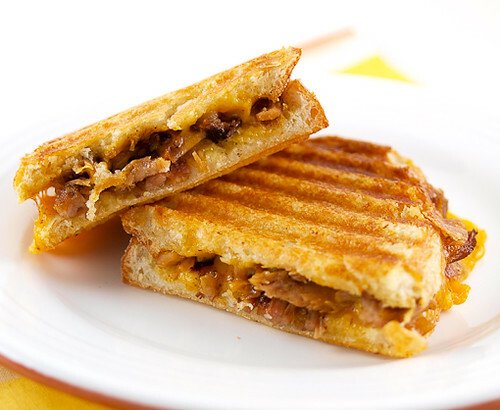 For this recipe I used shredded pork rib meat and used it in the most delectable, and easy, panini. You will note in this recipe I use mayonnaise rather than butter on the outside of the bread. I did this for two reasons. First, I detest mayonnaise inside most pressed sandwiches because it makes them soggy. 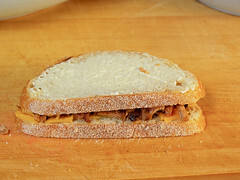 Second, mayonnaise helps brown the outside of the sandwich and it adds a lot of flavor. If you are wary of this trick you can use butter, but consider trying it. It is delicious. In a small saucepan over medium heat add the shredded pork, BBQ sauce, and hot sauce. Heat until the meat is steamy hot and evenly coated in sauce. Set aside to cool slightly. 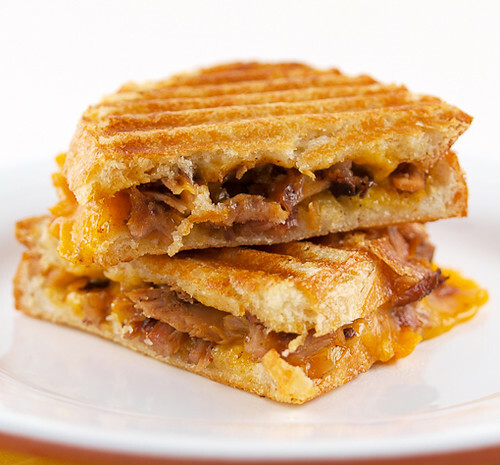 Heat a panini press, or a large skillet, to medium heat. On two slices of the bread evenly divide half the cheese slices. 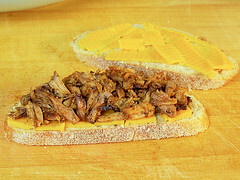 Top each with the pork, then the remaining cheese. Top with the bread. 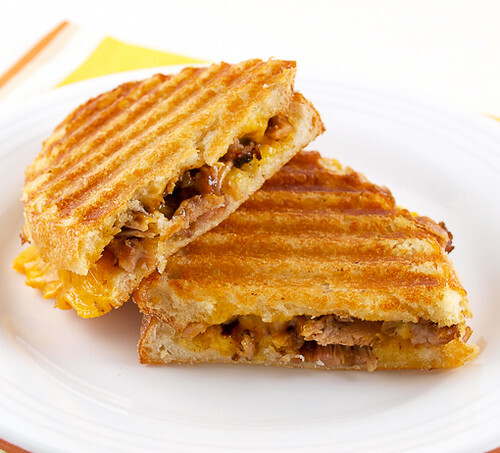 Spread a thin layer of mayonnaise on the outside of the bread then place into the heated panini press. 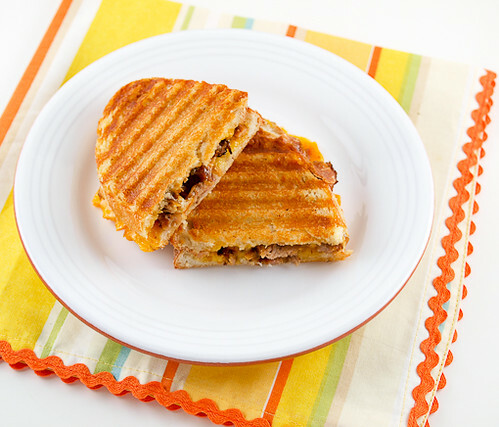 If using a skillet use a second sillet, with a heavy can, to press the sandwich. Cook until golden brown and crisp on both sides, about 5 minutes. Cool for three minutes before eating.